“Visionary companies are premier institutions… in their industries, widely admired by their peers and having a long track record of making a significant impact on the world around them. The key point is that a visionary company is an organization“, not an individual or product. Allegorically, Who Moved My Cheese? features four characters: two mice, “Sniff” and “Scurry,” and two littlepeople, miniature humans in essence, “Hem” and “Haw.” They live in a maze, a representation of one’s environment, and look for cheese, representative of happiness and success. Initially without cheese, each group, the mice and humans, paired off and traveled the lengthy corridors searching for cheese. One day both groups happen upon a cheese-filled corridor at “Cheese Station C”. Content with their find, the humans establish routines around their daily intake of cheese, slowly becoming arrogant in the process. One day Sniff and Scurry arrive at Cheese Station C to find no cheese left, but they are not surprised. Noticing the cheese supply dwindling, they have mentally prepared beforehand for the arduous but inevitable task of finding more cheese. Leaving Cheese Station C behind, they begin their hunt for new cheese together. Later that day, Hem and Haw arrive at Cheese Station C only to find the same thing, no cheese. Angered and annoyed, Hem demands, “Who moved my cheese?” The humans have counted on the cheese supply to be constant, and so are unprepared for this eventuality. After deciding that the cheese is indeed gone they get angry at the unfairness of the situation and both go home starved. Returning the next day, Hem and Haw find the same cheeseless place. Starting to realize the situation at hand, Haw thinks of a search for new cheese. But Hem is dead set in his victimized mindset and dismisses the proposal. Meanwhile, Sniff and Scurry have found “Cheese Station N”, new cheese. Back at Cheese Station C, Hem and Haw are affected by their lack of cheese and blame each other for their problem. Hoping to change, Haw again proposes a search for new cheese. However, Hem is comforted by his old routine and is frightened about the unknown. He knocks the idea again. After a while of being in denial, the humans remain without cheese. One day, having discovered his debilitating fears, Haw begins to chuckle at the situation and stops taking himself so seriously. Realizing he should simply move on, Haw enters the maze, but not before chiseling “If You Do Not Change, You Can Become Extinct” on the wall of Cheese Station C for his friend to ponder. Still fearful of his trek, Haw jots “What Would You Do If You Weren’t Afraid?” on the wall and, after thinking about that, he begins his venture. Still plagued with worry (perhaps he has waited too long to begin his search…), Haw finds some bits of cheese that nourishes him and he is able to continue his search. Haw realizes that the cheese has not suddenly vanished, but has dwindled from continual eating. After a stop at an empty cheese station, Haw begins worrying about the unknown again. Brushing aside his fears, Haw’s new mindset allows him to again enjoy life. He has even begun to smile again! He is realizing that “When you move beyond your fear, you feel free.” After another empty cheese station, Haw decides to go back for Hem with the few bits of new cheese he has managed to find. It is indeed the friend, who has found a way to escape the rat race. The level of employee engagement can be measured by the willingness and ability of employees to contribute to the success of their organization. 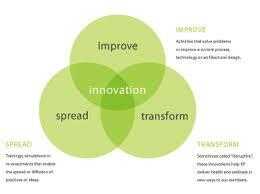 It is their discretionary effort which is an essential element for the good health and well being of a company. A highly engaged workforce shows the high level of engagement in their work and is always keen to take up new challenges in order to bring a positive change or establish a highly conducive work environment. Various studies have shown that higher level of employee engagement is directly linked to high satisfaction among them, productivity and profitability of organization and satisfied and loyal customers. The model below illustrates a few characteristics of an engaged workforce that play an essential role in the success of any organization. Mutual Trust: Trust is the base of any organization. 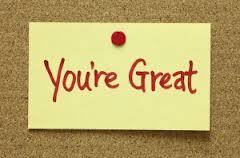 Letting people do their work without telling them how to perform it is one of the best ways to engage staff. Employees welcome each other’s opinions and find out a wide variety of ways to accomplish a particular task. A highly engaged workforce doesn’t need directions at each step. They can perform their jobs with mutual help and trust. Job and Career Satisfaction: Job satisfaction is one of the main characteristics of an engaged workforce. The individual who is satisfied with their career and the way their career graph is raising prefers to stick to the organisation for a very long period of time. Switching the organizations frequently is not a characteristic of satisfied employee. Credible Leadership: As mentioned earlier, an engaged workforce doesn’t need directions for performing a specific job from time to time. Employees know how to do it in the best possible manner. They not only exhibit credible leadership qualities in routine tasks but also come up with innovative ways to deal with crisis or emergencies. Focused and Keen to Take up Challenges: An engaged workforce is entirely focused and knows what to do and when. They are always keen to take up new challenges in order to solve the existing problems in the organization as well as acquire new skills. Not only this, they are always keen to learn new things and widening their horizon. Better Performance: Employee engagement is directly related to better performance. Employee performance is the only way to measure the engagement, involvement and dedication of employees towards their jobs. If all these factors cannot be interlinked, there is no meaning of anything. 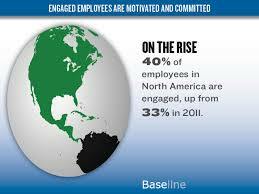 It can be said that the workforce is not engaged or actively disengaged. 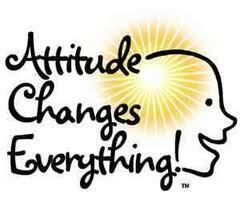 Problem Solving Attitude: Engaged workforce not only delivers its job responsibilities but also keeps a problem solving attitude always. A highly engaged employee displays a sense of belongingness towards the organization and makes every effort to solve the problems that pose a hindrance in the organization way of success. The above mentioned are the essential characteristics of an engaged workforce. However, mutual respect, commitment, enthusiasm, optimism and discretionary efforts to serve customers better are add-on characteristics that an engaged employee generally exhibits. What changes can you make regarding your engagement at work today? You have the power to create an environment that is fully engaging where you are learning and growing daily. What conversation will you have with your peers, team, and or manager today? It’s time for action, jump into full gear. Every time I call this friend of mine, I know what I’m in for: a half-hour rant about everything that’s difficult, miserable, or unfair. Sometimes she focuses on the people she feels have wronged her, and other times she explores the general hopelessness of life. She never calls to see how I’m doing, and she rarely listens to what’s going on in my life for more than a minute before shifting the focus back to herself. I tell myself I call because I care, but sometimes I wonder if I have ulterior motives–to pump up my ego offering good advice or even to feel better about my own reality. I’m no saint, and if there’s one thing I know well, it’s that we only do things repeatedly if we believe there’s something in it for us. Even if that something is just to feel needed. While I believe everyone deserves compassion, I understand what she meant after reading more. She went on to describe her offensive, sexist, racist boss who emotionally exhausts everyone around him. He sounds a lot more hateful than my friend, who is, sadly, just terribly depressed. But these people have one thing in common: boundless negative energy that ends up affecting everyone around them. So today I started thinking about how we interact with negative or difficult people. People who seem chronically critical, belligerent, indignant, angry, or just plain rude. When someone repeatedly drains everyone around them, how do you maintain a sense of compassion without getting sucked into their doom? And how do you act in a way that doesn’t reinforce their negativity–and maybe even helps them? Protect the positive space around me. When their negativity is too strong to protect it, I need to walk away. 4. Disarm their negativity, even if just for now. This goes back to the ideas I mentioned above. I know my depressed friend will rant about life’s injustices as long as I let her. Part of me feels tempted to play amateur psychiatrist–get her talking, and then try to help her reframe situations into a more positive light. Then I remind myself that I can’t change her whole way of being in one phone call. She has to want that. I also can’t listen for hours on end, as I’ve done in the past. But I can listen compassionately for a short while and then help her focus on something positive right now, in this moment. I can ask about her upcoming birthday. I can remind her it’s a beautiful day for a walk. Don’t try to solve or fix them. Just aim to help them now. 5. Temper your emotional response. 6. Question what you’re getting out of it. Like I mentioned above, we often get something out of relationships with negative people. Get real honest with yourself: have you fallen into a caretaker role because it makes you feel needed? Have you maintained the relationship so you can gossip about this person in a holier-than-thou way with others? Do you have some sort of stake in keeping the things the way they are? Questioning yourself helps you change the way you respond–which is really all you can control. You can’t make someone think, feel, or act differently. You can be as kind as possible or as combative as possible, and still not change reality for someone else. All you can control is what you think and do–and then do your best to help them without hurting yourself. 8. Don’t take it personally–but know sometimes it is personal. 9. Act instead of just reacting. 10. Maintain the right relationship based on reality as it is. With my friend, I’m always wishing she could be more positive. I consistently put myself in situations where I feel bad because I want to help, because I want her to be happy. I’ve recently realized the best I can do is accept her as she is, let her know I believe in her ability to be happy, and then give her space to make the choice. That means gently bringing our conversation to a close after I’ve made an effort to help. Or cutting short a night out if I’ve done all I can and it’s draining me. Hopefully she’ll want to change some day. Until then, all I can do is love her, while loving myself enough to take care of my needs. That often means putting them first. I’ve learned you can’t always saved the world, but you can make the world a better place by working on yourself–by becoming self-aware, tapping into your compassion, and protecting your positive space. You may even help negative people by fostering a sense of peace within yourself that their negativity can’t pierce. Bullies will always be bullies and try to invade your life and privacy. No matter how small the issue they know your very buttons to press and egg you on per say. The best method is to realize you have no control over them and there is nothing needed to be said to them. After all, bullies are jerks and if you tell them they are a jerk they will continue harassing you because they already know they are jerks! The best way to deal with a bully is identify the people who you know are and always be on guard. There is nothing wrong with avoiding someone and politely refusing not to engage in a workplace meeting or simple conversation – it is your life and time. The important aspect to remember is the issue is bothering you. Perhaps the issue wouldn’t bother your macho friend but that is not a factor in this song and dance. The point is it does bother you and you are not your friend who handles everything with ease and poise. Depending on the circumstances of your individual case you have to evaluate how serious your problem is and make your move from there. The most important part to remember is its all relative. Your huge problem might be not even a consideration for someone else, but you must remember it is truthfully a huge problem for you! One projection is best summarized and depicted as the projection we have when driving our car down the street and someone, typically the bully, cuts in on us or turns in front of us. With this projection we immediately get angry and put our hand on the horn gesticulating at the other driver with a barrage of verbal obscenities. The other projection is when we are shopping and pushing our trolley along calmly and someone comes into our space, barging in front of us or stopping suddenly causing us to brake to avoid a collision with them. We immediately get angry, let our trolley “bump” the other or we say something. Realize that the true projection we should have is one when we are driving along we will expect someone, the bully, to pull out in front of us and we will expect someone to turn in front of us. We should expect when shopping that someone will storm in front of us and stop suddenly. The way we deal with this is to remain calm, saying to yourself “just as I thought someone has come into my space”. Keep calm. When you know this and expect this and it happens you can react by slowing down and avoid the situation. You can remain calm and continue on your way as you knew this was going to happen and you expected it to happen and it did. You don’t get upset and would not even give it a second thought. This is the projection we should have because when we expect it to happen we are prepared to take the right course of action remaining calm and in control. Understand that this is the same with our workplace bully and harasser. We know they’re in the office and we know they are going to upset us. But knowing this we are prepared for them and not intimidated by their actions. Deal with this in one simple step. When being bullied or harassed by a work colleague put your hand up to them, about one to two feet away, just like a policeman using the stop signal with his hand. You then say to the person, “STOP. You are harassing/bullying me, I do not like the nature of your tone and request you stop speaking in this manner immediately”. Imagine the reaction you will get from the colleague, especially if they continue and you repeat yourself several times. Understand that no matter how bad the bully makes you feel, give the impression that you feel much worse. They may feel bad and stop. Sometimes they escalate it, in which case continue to escalate the exaggeration of your response. Everyone has a limit when they start to feel bad and stop being mean. You want to speed the bully’s progression towards that limit. Get assistance. If this is the case, summon immediately a co-worker. With your hand in the stop position, turn to a co-worker and ask them to come to your assistance saying, “Excuse me, could you please come to my assistance, I am being treated unfairly and I would like a witness and a person to provide me with support as I feel very uncomfortable in this situation”. 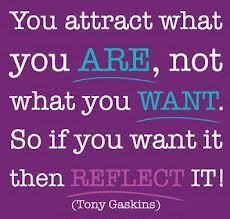 Realize Deeply You Have the Ability to Attract What You Want, Especially When You Have no Idea How. When you can picture what you want, but have NO idea how to get it, then your first step is to feel the “I don’t know.” Become at peace with it. Open up to not knowing…. Take the breaks off and DIVE in!! Avail yourself to “I don’t know”…. This is where you are. This is a thought-form. It may or may not be true, but fighting it won’t help. Making peace with it will. The belief that you don’t know how and should know how to get something or how to make something happen inhibits the Power of the Universe, which KNOWS how. In other words, the thought that you don’t know how unconsciously narrows your focus. And the way out is pure acceptance. When you become totally okay with NOT knowing, your acceptance cuts through the thought “I don’t know” like a sword, and the Universe, WHICH KNOWS, will carry on with its plan. Change your relationship with ‘I don’t know how,’ and you will soon find you KNOW how, and ultimately you always knew. 1. Download the diagnostic tool at jimcollins.com, and do the exercises with your team. Yes, I thought this was self-serving at first. Then I looked it, considered that it’s free and doesn’t require you to sign up for anything, and immediately saw his point. 2. Get the right people in the key seats. This comes from Collins’ famous observation that building a company is like driving a bus. You need a driver, but you also need the right people in all the key seats. So, says Collins, figure out how many key seats you have, and make a plan that will make sure you get all the key seats filled by the end of the year. 3. Once a quarter, have a brutal facts meeting. Be careful about who you include in this meeting. You will be discussing just the brutal facts. This is not the time to express opinions or strategize. Repeat: Only discuss the brutal facts. 4. Set a 15 to 25-year big, hairy audacious goal (BHAG). This is a goal that is concrete enough, and ambitious enough, to guide your company’s progress for years. Collins writes that “With his very first dime store in 1945, Sam Walton set the BHAG to ‘make my little Newport store the best, most profitable in Arkansas within five years.’ He continued to set BHAGs, which continued to get larger and more audacious, as his company grew. 5. Commit to a “20-mile march” that you will bring you to your big hairy audacious goal. Collins makes the analogy to someone who is trying to walk across the county. The best approach, says Collins, is to attempt to travel the same distance every day. If you’re on a 2-mile march, says Collins, you don’t bolt 30 miles ahead when the weather is good. You go 20 miles. When the weather is bad, you can’t sit inside and complain – you still have make 20 miles. What does this have to do with entrepreneurship? In his research, Collins found that companies that perform consistently do much better than those that do spectacularly one year and are feeble the next. That’s because if you overextend in good years, when opportunity appears to be everywhere, you may not have the resources to get through the lousy years. The 20-mile march is a metaphor for the milestone that you can reach day-in and day-out. 6. Place at least one really big bet in the next three years, based on having fired bullets first. No entrepreneur has unlimited resources, just as no small army has unlimited gunpowder (this metaphor may be dated, but you get the point). The best use of limited gunpowder, or resources, says Collins, is to fire bullets to ensure that your aim is calibrated properly and that you can indeed hit your target. Only when you’re sure of your ability to hit your target should you load lots of gunpowder into a cannonball and fire away. “Fire bullets to calibrate. Fire cannonballs to go big,” says Collins. 9. Make a to-do list. “If you have more than three priorities, you don’t have any,” says Collins. For every major ‘to-do’ on your list, you should have a corresponding item that you will stop doing. The ‘stop-doing’ list. 10. Commit to a set of core values that you will want to build your enterprise on, without changing them, for 100 years.